Our Funarena! 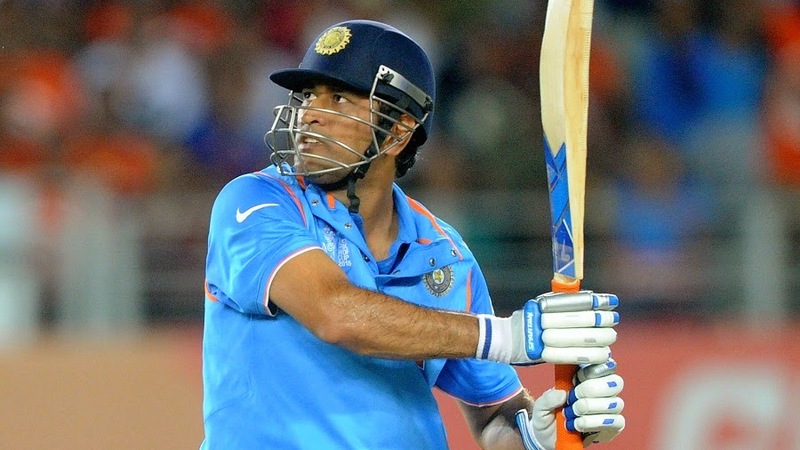 : ICC Cricket World Cup: India Beat Zimbabwe By 6 Wickets, Maintain All Win Record Ahead Of The Knockout Stage! ICC Cricket World Cup: India Beat Zimbabwe By 6 Wickets, Maintain All Win Record Ahead Of The Knockout Stage! India have hit a resounding six of six consecutive wins in the ICC World Cup-2015 beating Zimbabwe by 6 wickets in their last league match in Auckland today. However, the margin of India’s victory was not as comfortable as it looks. Chasing a very competitive total of 287 set by Zimbabwe India were under intense pressure at 92 for the loss of 4 top order batsmen in the 23rd over. Thanks to a rollicking unbeaten partnership of 196 runs between Suresh Raina and skipper MS Dhoni victory was finally made easy with 8 balls to spare. Man of the Match Raina raced to a brilliant hundred, his first century in World Cups, making 110 not out off 104 balls with 9 fours and 4 sixes. Raina was helped by a simple dropped catch before he made his half century and was initially living dangerously giving somewhat catching practice to the Zimbabwe fielders. Dhoni gave him solid company making a professional 85 runs not out off 76 balls with 8 fours and 2 sixes—the winning shot being a six from him. Armed with only a solitary win Zimbabwe almost stopped Team India’s wining spree. After putting Zimbabwe under a lot of pressure at 126 for 4, Indian bowlers seemed to have let off the opposition allowing them to a free flowing run bonanza with the spinners proving totally ineffective. As you know old habits die hard it seemed like a page out of the past. However, unlike the past behavior of Team India Zimbabwe were not allowed to cross the 300 mark and instead the last three wickets were captured for just 2 runs. So, in the six matches thus far India had the opposition all out every time—a feat only achieved by South Africa earlier. The syndrome of ‘old habits die hard’ does not end there though. As all of us are aware in all major cricket tournaments Team India start experimenting with reserve players once assured of a berth in the next round or in semifinal or finals and in the process losing matches. I was shocked to find celebrated cricket experts and journalists ‘discussing’ the ‘need to rest key players’ in TV channels and newspaper columns. WHY FOR GOD’S SAKE? Don’t anybody realize that this is the World Cup, that the team is winning with the combinations working in the best way possible and that how disastrous it would be for the team to lose a match at this stage and thus inspiring the rival teams in the knockout stage. Good, Dhoni did not fall for it. But still, it seemed like there was some plan. Because of these points—Indian top order batsmen needed some practice in defensive techniques (else why Shikhar Dhawan and Rahane were playing so slowly and in sharp contrast charging down the pitch for non-existent singles); Suresh Raina was not getting enough opportunity to get runs and so needed to be in the middle for some time; lower order of the Indian batting including Dhoni needed more exposure and the Indian tail needed to be tailored to wag enough in the knockout stage. Well, if there was indeed such a plan it was bizarre, risky and negative. The good thing is that most of India’s needs were fulfilled finally in this game! They chased down the highest ever World Cup total despite the fits and starts. And it gave the right kind of message to a resurgent Bangladesh. Zimbabwe captain Brendon Taylor bid adieu to his team with an explosive century (138 off 110 balls with 15 fours and 5 sixes) as he will be joining an English county team for three years and would probably keep himself open for selection in the England team. 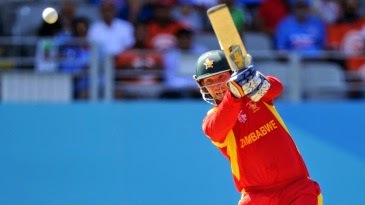 Virtually in his last innings for Zimbabwe Taylor provided the momentum for a total in excess of 300, but an injury-affected team could not capitalize fully on it. The line-up in Pool—A is final—1.New Zealand, 2.Australia, 3.Sri Lanka and 4.Bangladesh and knockout games start from 18th March. From Pool-B top team India is set to meet Bangladesh in the quarterfinal scheduled on 19th March in Melbourne. Sunday’s (tomorrow, 15/3/15) crucial matches of Pakistan Vs Ireland and West Indies Vs UAE will decide who will meet New Zealand, Australia and Sri Lanka. If Pakistan win they will move to either second or third position depending on net run-rate with South Africa. The net run-rate will also decide whether loser Ireland or West Indies winning against UAE will finally occupy the fourth position. Stay tuned!